It sounds strange for some to hear that you can begin succeeding on federal probation from federal prison camp. In fact, while I was in prison others told me that preparing for probation was a waste of time, and that nothing that I did mattered. Fortunately, I had learned to tune out useless advice. So do my clients. 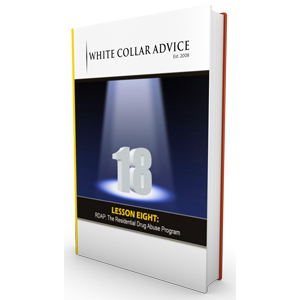 1: Some clients realize immediately that our way is better and they go all in to prepare. 2: Admittedly, some other clients see the value, but initially struggle to embrace parts of our philosophy. Some even find some of the assignments challenging and even frustrating. Still, their willingness to stick with it, to learn and adopt our approach ensures they become part of the 1% of defendants who truly excel. It makes sense that defendants want to focus on serving the shortest possible prison sentence. Of course. I, too, wanted to get home to my family as quickly as possible. But a cliché holds, “be careful what you ask for.” If you are not ready for probation, the experience will be harder than it should be. GRAB MY FREE LESSON PLAN ON THE FIRST DAY OF FEDERAL PRISON HERE! Sometimes the obsession with getting the maximum time in the halfway house gets in the way of preparing for life after prison. Many people who serve time in a federal prison camp will be on federal probation longer than they will be in prison. Even a 60-month sentence, with the Residential Drug Abuse Program, good time and halfway house, equates to less than 36 months in prison. In other words, that is less than the 36 months you will probably be required to serve on federal probation. Our clients take action from prison to nurture their network, and cultivate a relationship with their probation officer. When I was in prison, I wrote letters to my probation officer. My clients also write letters to their probation officer. Yes, some initially don’t love the idea, but as I wrote earlier, they do it anyway. These letters address how hard they are working in prison, steps they are taking to make amends, and how they are preparing to live as a contributing member of society upon their release. I have clients that write letters each month; others will send letters every 8-12 weeks. The length of the sentence impacts how often we will write the probation officer. 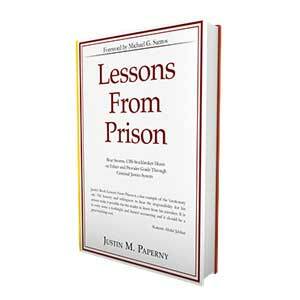 My prison advice in this blog is simple: Preparing for life in federal prison camp is essential. That is a big part of the work my team and I do. But you also must be forward thinking. Spend your days in federal prison creating a new record, then share those results through letters with your probation officer. That is how you begin succeeding on federal probation from federal prison camp.